Our patented, weather-resistant Pumpsider™ system makes fuel pump advertising effective and easy. 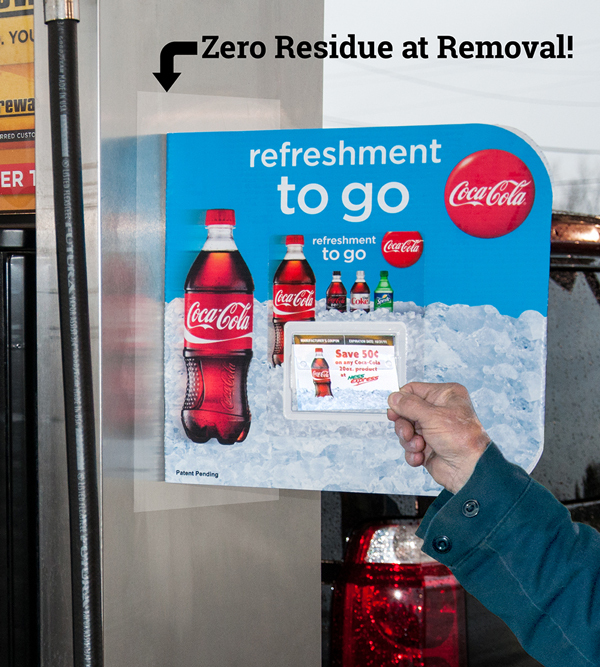 This durable coupon display will make your promotional message stand out and give your marketing strategy an edge while driving traffic into the store. 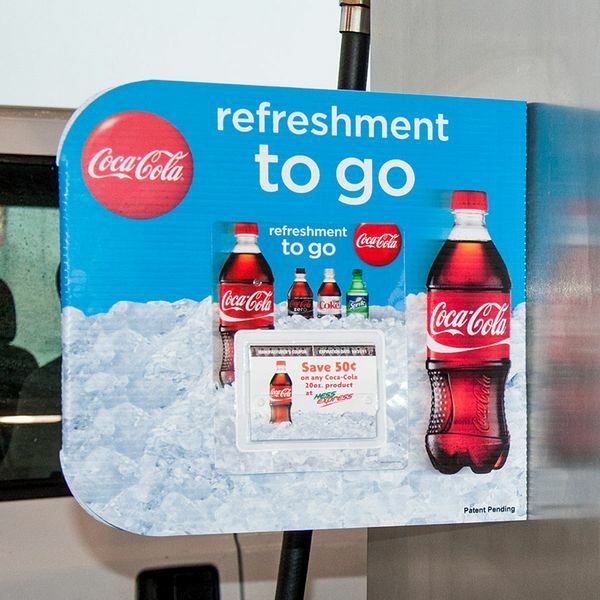 The design of the dispenser provides up to six months of at-pump advertising and pairing with other Pop N’ Sell dispensers. 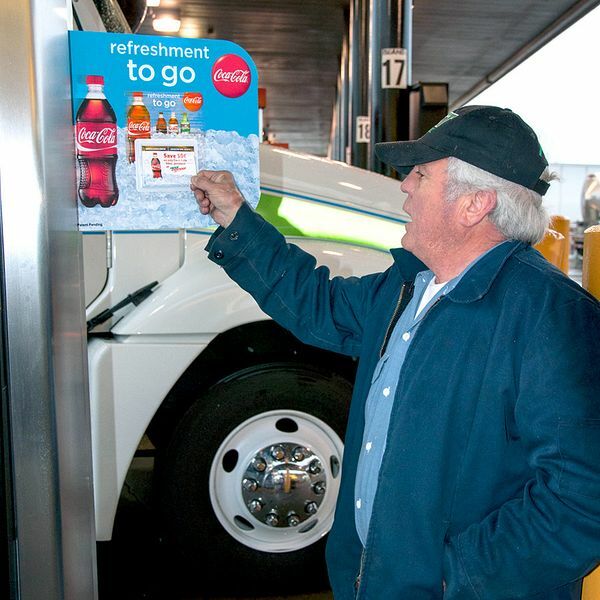 These dispensers can easily be switched and rotated with different marketing display promotions. This six-month window will ensure long-lasting ROI and direct visibility to consumers. Our patented adhesive solution holds over 80 pounds and withstands hurricane-force winds, yet leaves zero residue when removed. From application to removal, there has never been a fuel pump advertising solution as versatile, easy and effective as the Pumpsider. This state-of-the-art fuel pump advertising solution is easy to manage from shipping to breakdown. The Pumpsider ships flat and includes intuitive, simple instructions for application to any pump. Special Align-Rite™ waves and unique die-cuts let the Pumpsider quickly transform from flat to full display for optimal visual effect.